So anyhow i live in the small town of Fallbrook in SD County. we got the "revearse 911" call yesterday evening @ about 4 telling us to evacuate due to the wild fires (13 fires burning in so. cal). 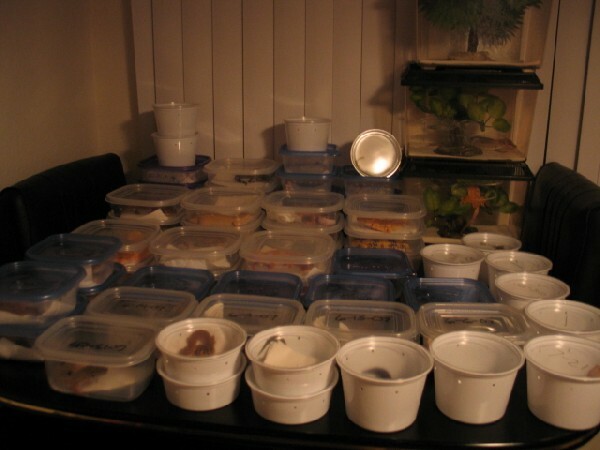 Next to my clothes, pix, and documents, i had to evacuate my 71 geckos! 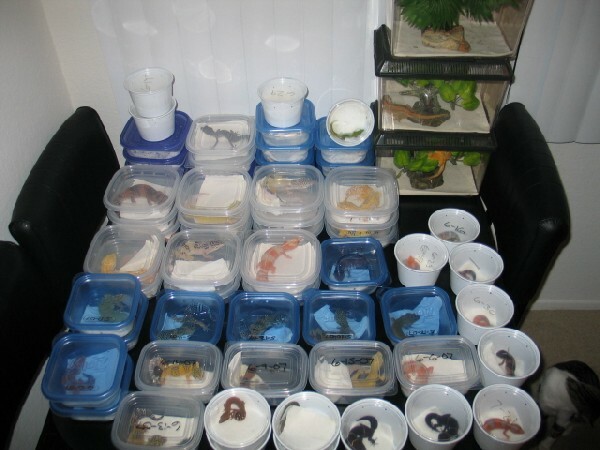 Lucky for me I have actually been preparing to exhibit at reptile shows and had thought about convenient ways to transport every one with enough housing. I bought nice racks from RBI plastics that I can pick up and transport and a suburban to do the transporting. Anyhow it is going on our 2nd night away from home and we hope to return tomorrow! Almost all of SD county has had to evacuate. 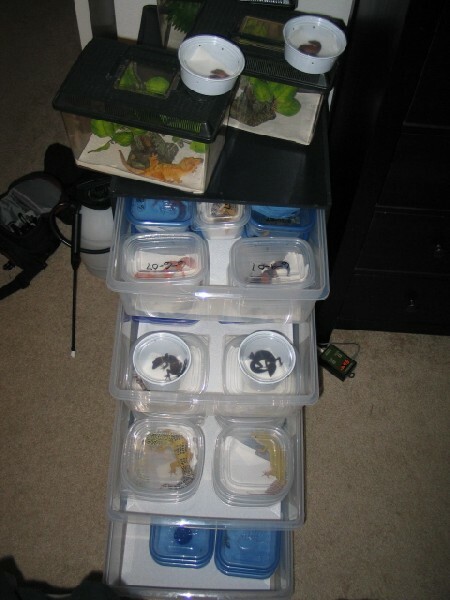 Anyhow I just have never seen all my gex in one spot b4 so I thought I would show some pix. They are all still in their tupperwares but I am hoping they will be fine for the next 24 hours (at shows they leave them in the deli cups up to 4 days). I think and hope so far my apartments have been safe, and my family & friends. I hope everyone else is as lucky as me but 500 homes in fallbrook alone have burned (just one of the 13 fires).